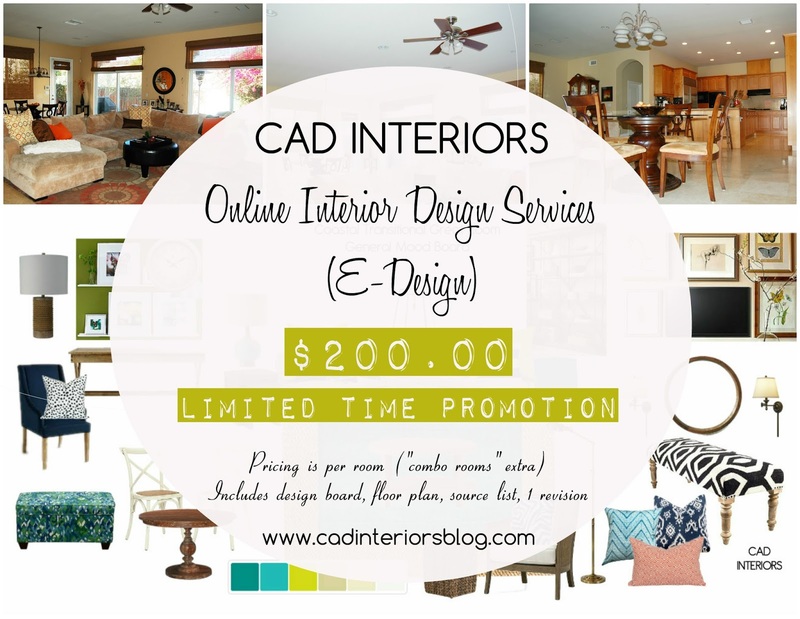 If you've been considering interior design services, now is the time to take advantage of the special pricing on e-design services! All packages include a design board, to-scale floor plan, product sources/shopping list, written plan details, and one round of revisions. Exceptional customer service and attention to detail are my highest priorities; therefore, projects are serviced on a first-come turnaround basis. Don't wait to schedule and book your e-design package. E-design service must be booked by October 28, 2016, to take advantage of this special promotional offer. Click here for more information on design services, or contact me directly via e-mail. Follow CAD INTERIORS on Instagram (@cadinteriors), Facebook (@cadinteriorsblog), and Pinterest (cadinteriors) to receive an additional $20 off (just mention the follow). I just visit your other post as well and you know what every post have wonderful design and artist work.